This weebly site will removed in one month. 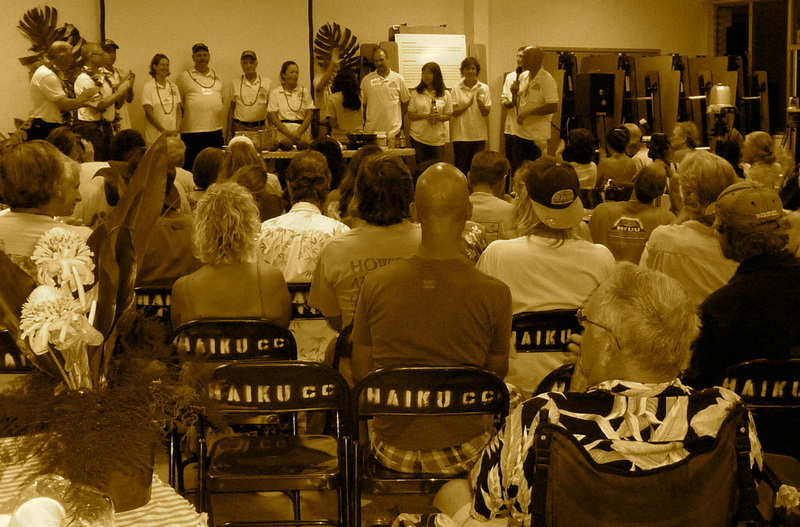 Please refer to maufarmersunionunited.org as the new homepage for Maui Farmers Union United events, announcements, and postings on this great organization. Thank you for your continued support and involvement. 8:10-8:30 Vincent Mina- Backyard Vermi-Composting "Trough Method"
Bring your home grown farm produce, seeds or plant starts to share and swap with others. A Waste Free Event: Bring a vessel and utensils for dinner or purchase our recyclable ones at a nominal cost. Two of our most active leaders, Bill Greenleaf and Vincent Mina. "I love that this community partnership exists. 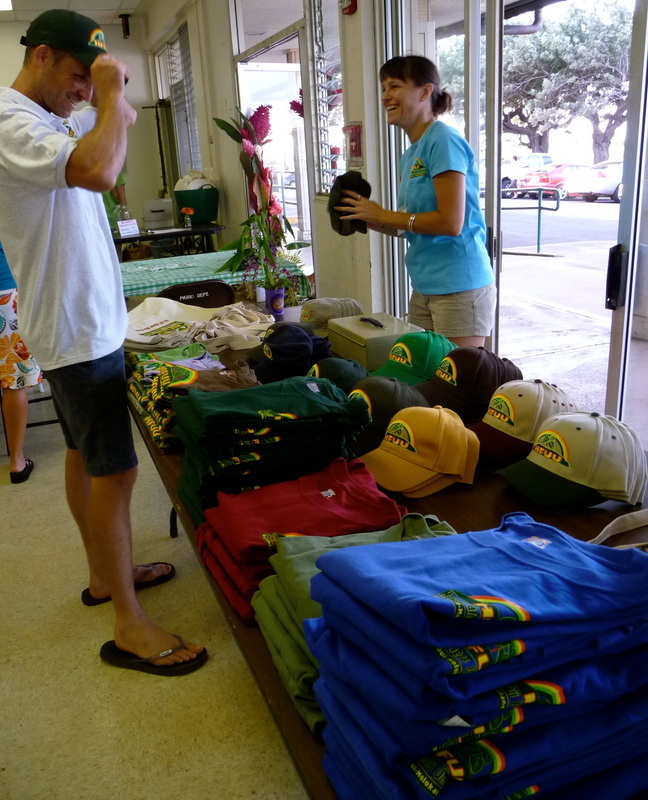 With a year long growing season, abundant rainfall, and so many different micro climates on the island to support a wide variety of plant life, the Maui Farmers Union has a powerful advantage in creating a food system that not only promotes food security on the island, but sets an example to other islands, states, and countries across the globe. Can't wait to contribute..."
BE SEEN WITH OUR NEW PRODUCT LINE! BEAUTIFUL CAPS, SHIRTS, APRONS, AND CANVAS BAGS. ALL PROCEEDS GO STRAIGHT BACK INTO THE ORGANIZATION TO CREATE MORE EMPOWERING MEETINGS. MAHALO TO EVERYONE FOR A SUCCESSFUL ANNUAL STATE MEETING! We had 20+ volunteers preparing for the meeting, 150+ people in attendance, board members from all islands, the national president speaking, ono food, and lots of Aloha! ENJOY THE SLIDESHOW BELOW OF OUR MEMBERS IN ACTION!